Summary: How to print your Google Calendar and post the family schedule on the fridge. How to print a poster-sized Google Calendar. 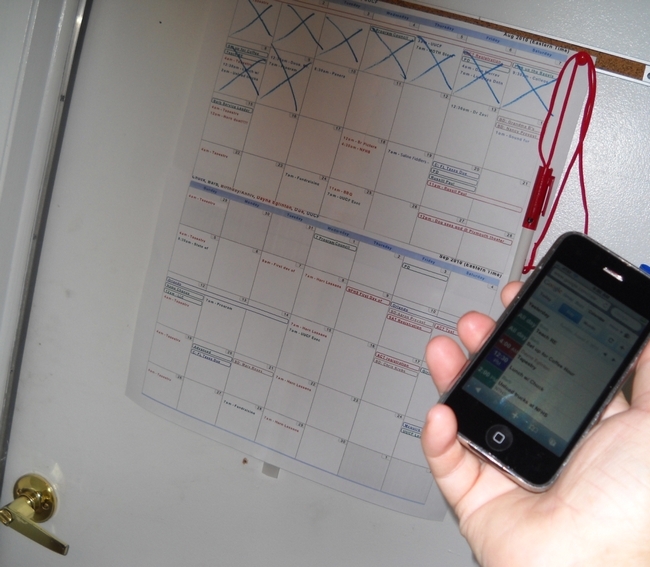 How to print a Google Calendar for your Refrigerator. How to print a Google Calendar to share with Luddites. This article describes how you can enjoy the collaborative advantages of the Google Calendar on your iPhone, BlackBerry, Palm or smartphone, but still have a printed calendar for your fridge, refrigerator, bulletin board, or back door. 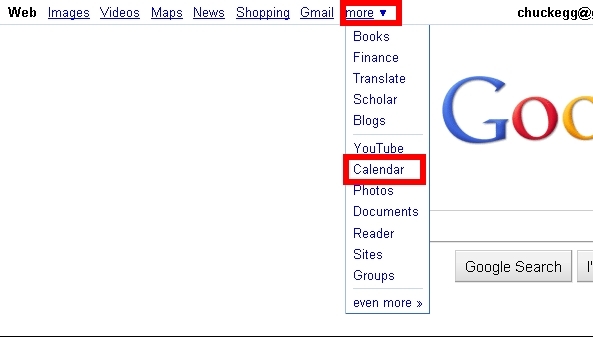 I know, it's difficult to switch from your paper calendar to the Online Google Calendar. 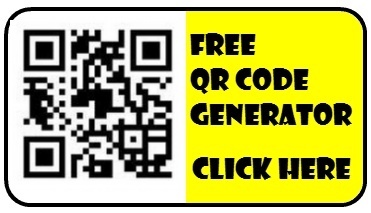 And it''s difficult to switch from your printed daily planner to the online Google Calendar on your iPhone, BlackBerry, PDA or smart phone. 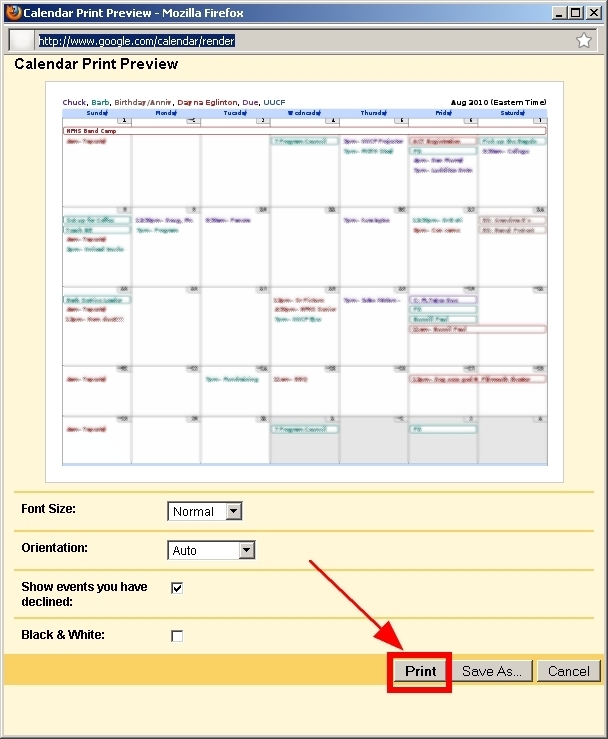 This article describes how you can enjoy the collaborative advantages of the Online Google Calendar on your iPhone, BlackBerry, Palm or smartphone, but still have a printed calendar for your refrigerator, bulletin board, or back door. Before we started using Google Calendar, we used the large desktop calendars that you can buy from Staples or other office supply stores. In our family, each of us typically update our calendar events from the Google Calendar website or from our smart phones; but, we still find it convenient to have a printed calendar on our door to the garage. Although it's good to have a family-synchronized calendar on each of our phones, it sometimes helps to be able to look at the paper calendar on the way out just to get a quick view of the next few days. Also, we can select individual components of our calendars and print a unique version of our combined calendar for my mother to post on her refrigerator (since she doesn't use the Google Calendar online). So, read on to see how to print a poster-sized Google Calendar. 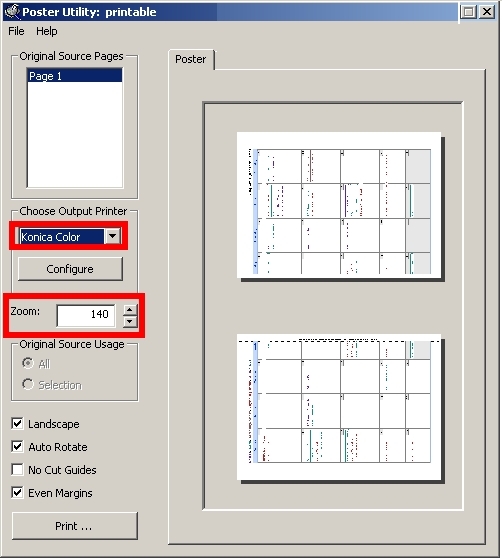 The free “Poster Printer” program works with your existing printer to allow you to print documents at a much larger size than would fit on a single printed page. Poster Printer works with any printer; color or black and white. Poster Printer software installs what appears to be a new virtual printer, by default named “Poster Printer” in your printer list. The new printer operates similarly to if you've ever printed to a PDF file, or if you've printed to a “fax” printer; it captures an image of the printout so that it can be manipulated. You can make huge poster, if you want. 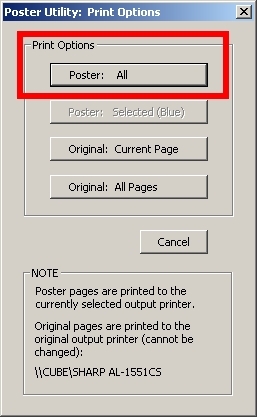 Poster Printer can print a poster spanning 5 feet, or more, from a single document page. You can also log into your Gmail or any Google account, then select “more” and “Calendar” from the drop down menu (as shown on the right). 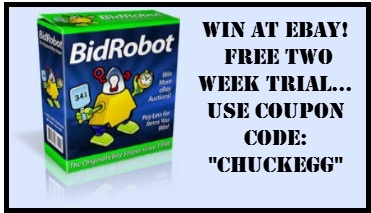 Step 2: Click the PRINT link at the upper right corner of the Google Calendar. 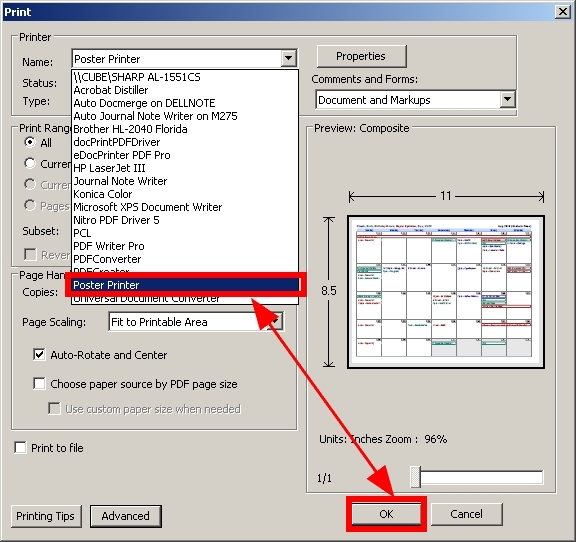 Step 4: In the PRINT dialog, select “Poster Printer,” then click “OK.” You'll select “Poster Printer” even though you'll ultimately send the calendar to a real printer in two more steps. Step 5: Use the drop-down to choose the true printer that you want to print to. Then, click the up arrow on the zoom until the calendar stretches to two pages of paper (you'll see it in the image to the right). Finally, click the “Print” button at the bottom left. 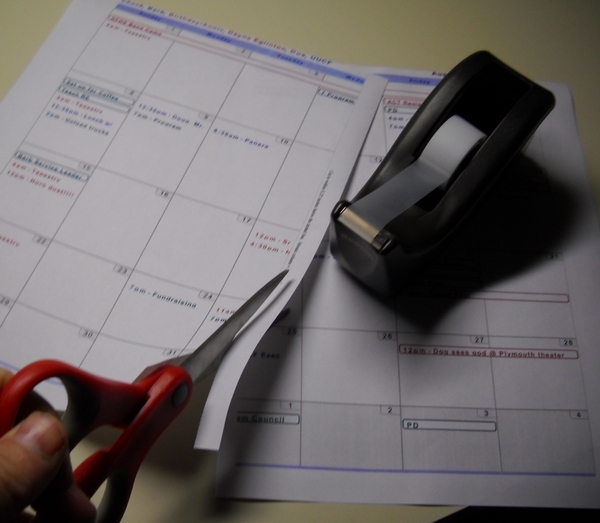 Step 7: After the page print, cut on the dotted line of one page and use tape or glue to overlap it on the other page.Hang your finished poster-sized Google Calendar on your refrigerator or back door. I love Google calendar and have used it for years. Thanks for this idea!